Volunteers stopped by the home of Margaret Bishop and her 8-year-old grandson this weekend to participate in Make a Difference Day with the Tallahassee Fuller Center for Housing. 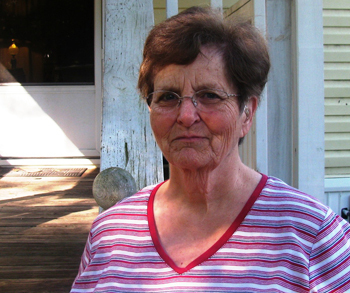 Bishop, who is in her 70s, is raising her grandson with her monthly Social Security income. As the result of having previously broken her neck and leg, Bishop experiences a lot of pain and will require surgery sometime during the next years. Her trailer is 20 years old and the roof leaks into the bathroom and bedroom. 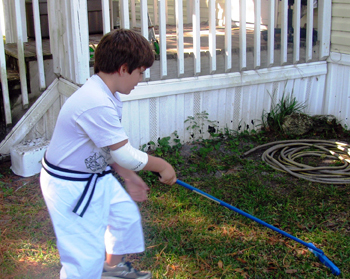 Mold and water damage are appearing in and outside the home. 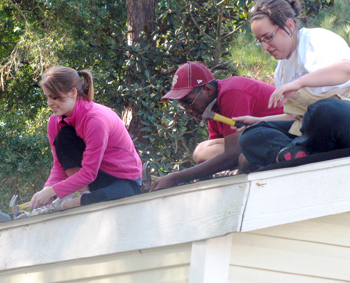 Satruday’s student volunteers came to replace and repair the roof so that Bishop and her grandson can live in safe and decent housing affordably.